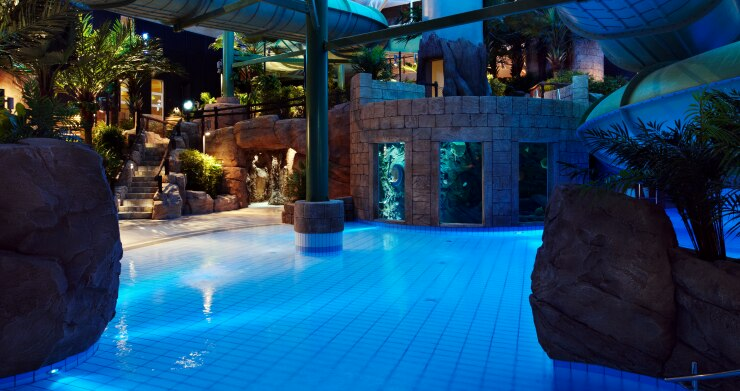 Stay 3 nights, pay for 2 in Frederikshavn at Scandic The Reef. Enjoy a relaxing hotel stay with our own Caribbean water park and loads of fun for your kids. Book latest 30 December and enjoy a relaxing hotel stay for 3 or 4 consecutive nights with a Caribbean aquapark and loads of fun and entertainment for the young at heart. Simply use the booking code 7343F2. * Valid if you book 3 or 4 consecutive nights. Book online and remember to select 3 or 4 consecutive nights. Book no later than 30 December.